President John Adams, the second US President, was the first to live in the White House. The White House, in Washington, D.C., is the official workplace and residence of the US president. The official workplace and the residence of the US president is the White House, which is located on Pennsylvania Avenue in Washington, DC. The White House has been the residence of all the US presidents since John Adams in 1800 who was the second President of the nation. He was an outstanding lawyer having graduated from Harvard University. Adams was a statesman, diplomat, and political theorist. Following his triumphant victory against his competitor Thomas Jefferson, he moved into state house in 1800. The first President of the United States, George Washington, did not live in the White House because it had not been built to a livable state during his term. President John Adams was born on October 30, 1735, in their family farm located in Braintree (present-day Quincy) Massachusetts to John Adams Senior and Susanna Boylston Adams. His father’s main occupation was farming, though he also doubled up as the town’s selectman and tax collector, church elder, and lieutenant of the militia. Adams also had two younger brothers, Elihu and Peter. He was not keen on his studies when he was young as pointed out in his autobiography. His love for hunting saw him carry guns to school and begin hunting even before getting home. It was his father who convinced and encouraged him to concentrate on his studies as he had noticed his great intellect. His father died during the flu epidemic that hit the country in 1765. Adams was awarded a scholarship to study Law at Harvard where he graduated in 1755 aged 20 years. He continued with his master's studies in the office of James Putnam and earned his degree in 1758. John Adams was opposed to the Stamp Act of 1765 in which the British government levied a tax on newspapers and other goods. His opposition to the act was also due to the high tariffs Americans were forced to against their consent. He later delivered a speech to the governor and his municipality denouncing the act terming it unlawful. He also represented eight British soldiers who were facing trial for manslaughter, six of whom were acquitted. This act caused a dent in his legal career but also stamped courage, equality, and fair representation in his rapport. He was later elected as a Congressman for the Massachusetts assembly and represented the colony in the first continental congress with four other members. He proposed that each of the colonies be run as independent states, a matter that was seconded and approved on May 15, 1776. John Adams together with other statesmen were tasked with drafting the declaration of independence and he also served on more than 90 committees. He foresaw many treaties and also became an ambassador to several other European nations including Holland and France. After almost 10 years of diplomatic missions in Europe, Adams returned home to the first presidential election. He was on the ballot alongside George Washington who, as expected, won with more votes. The constitutional requirements at the time required that the runners up become vice president. He lost again to George Washington in the second election in 1792, but his popularity grew during this time that he won the next election against Thomas Jefferson in the 1796 election. 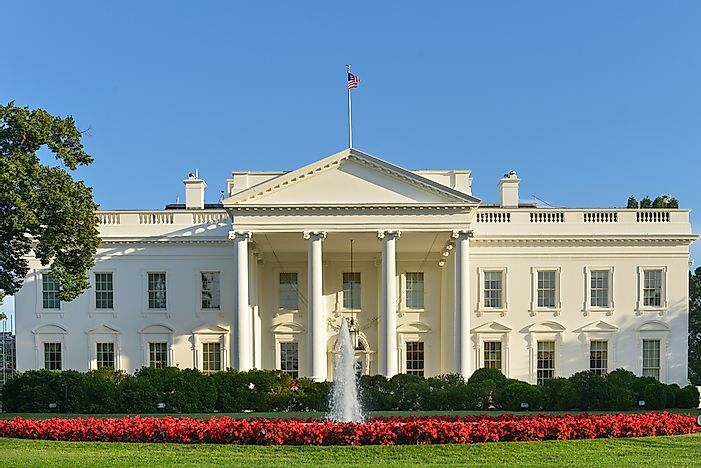 The construction of the White House took place between 1792 and 1800. At the time of his election, the official residence of the president was at 190 High Street in the city of Philadelphia. John Adams became the first president to move into the White House on November 1, 1800. During his time in office, he involved the US in the war between the British and French which saw him lose popularity and lost to Thomas Jefferson in the 1800 election. John Adams left the White House on March 4, 1801. After retirement, he went and settled in his Quincy farm where he lived with his wife Abigail and six children until his death on July 4, 1826, during the nations 50th independence anniversary. Who Was the First President to Be Born an American Citizen?